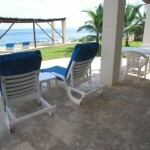 Of course Villa Sea Gate has great sea views, but there’s so much more to it than that. 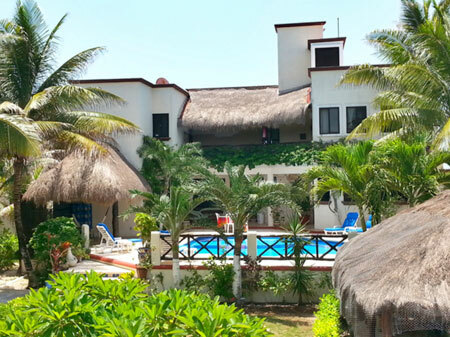 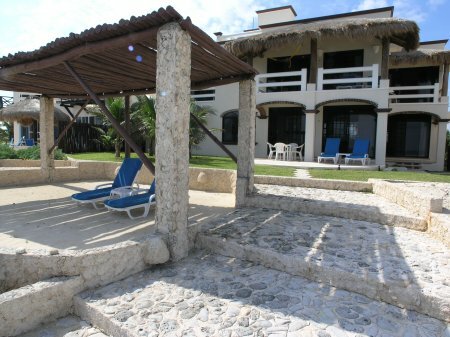 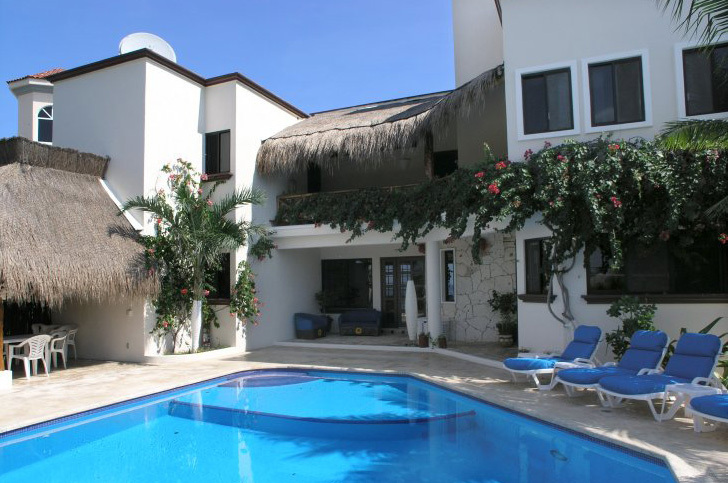 Sea Gate is an excellent choice for family vacations; with 4 air-conditioned bedrooms, swimming pool, barbecue grilling area, multiple terraces and patios, and, it’s just a short 5 minutes to central Akumal and the main beach. 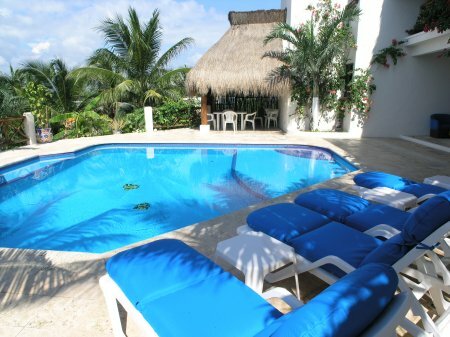 The swimming pool greets you on your way to the front door and a limestone tanning deck is wrapped around it with plenty of chaise lounge chairs for your poolside retreat. 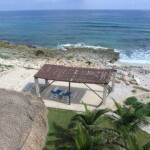 A grilling area with a built-in charcoal grill and fryer is on one side, and a shade palapa with table, chairs and hammocks is on the other. 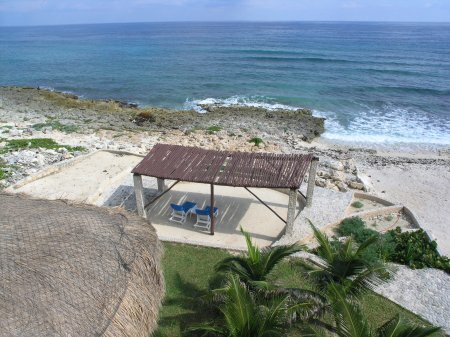 The positioning of the house provides some shelter from the sea breeze making cookouts more enjoyable, no flying plates! 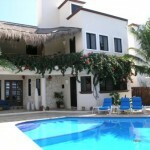 Exterior doors open from both the main living area and the kitchen to facilitate entertaining by the pool. 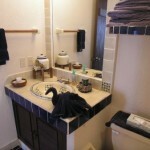 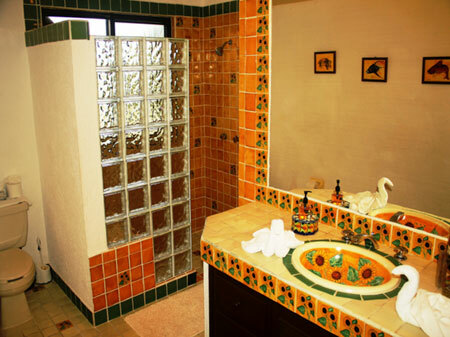 Families really appreciate this convenient feature as they enjoy the pool area. 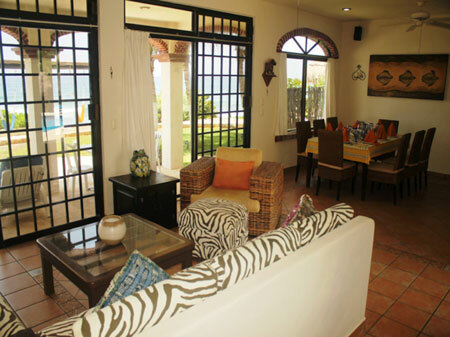 Just inside the front door is the main living area with the living room straight ahead and the formal dining area off to the right. 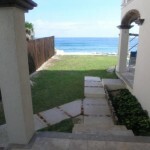 Both the living and dining areas face the sea and there are two glass sliders from the living room to the ocean side patio. 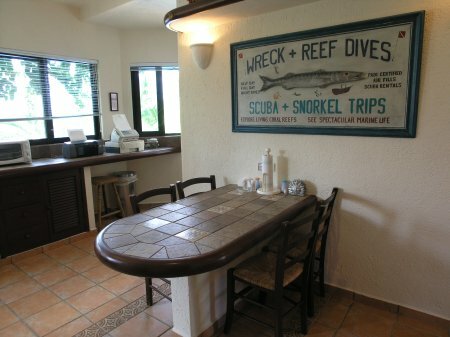 The dining has a large arched window with a sea view. 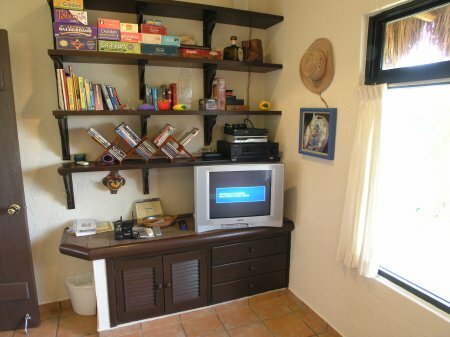 Next to the dining room is the entertainment room with satellite TV, DVD, CD stereo, and a small library of books and CD’s. 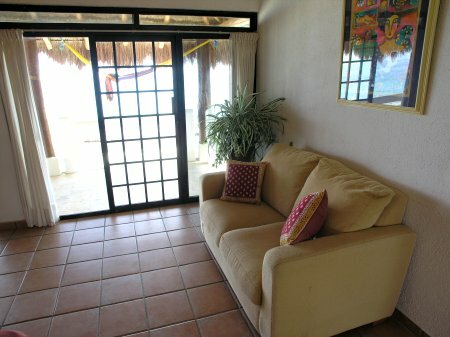 An L shaped couch faces the TV and there is a window facing the sea. 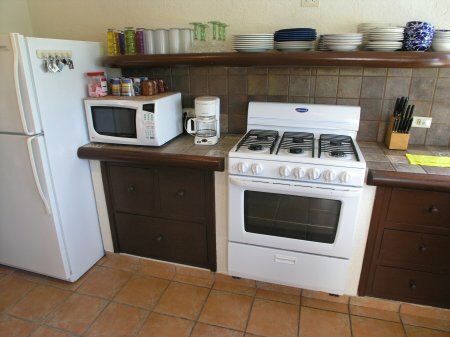 Across from the entertainment room is the fully equipped kitchen with all the major appliances, including a dishwasher, blender, microwave, toaster and coffee maker. 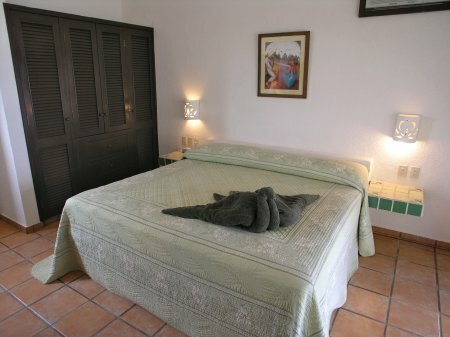 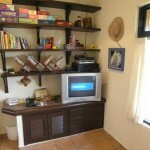 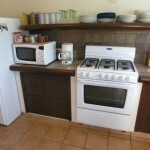 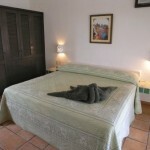 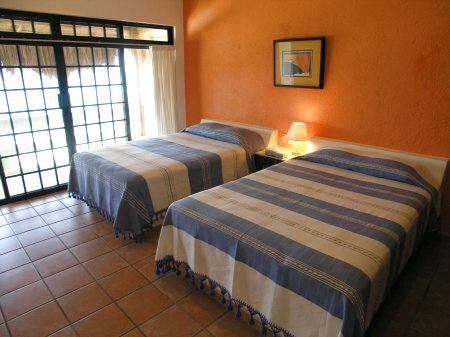 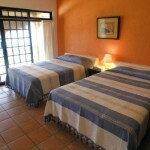 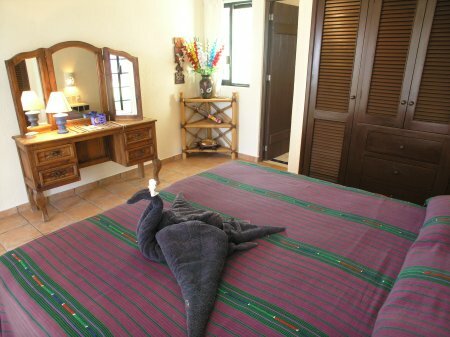 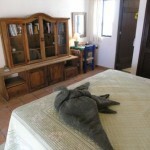 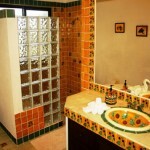 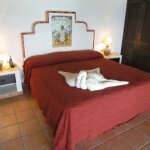 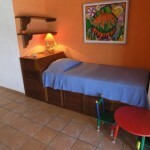 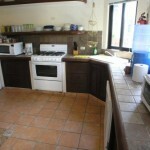 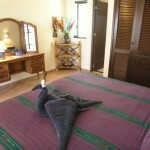 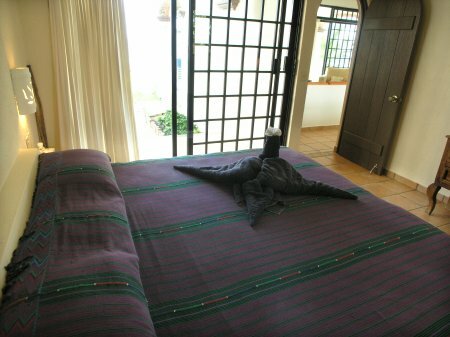 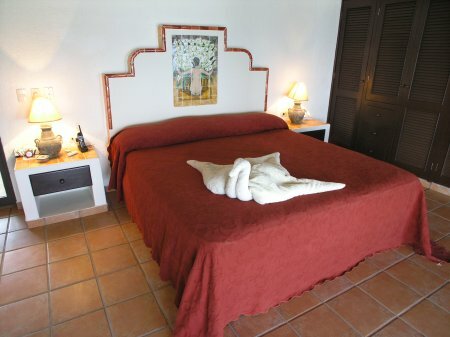 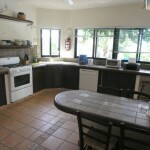 There are 4 air-conditioned bedrooms, one on the main level and three upstairs. 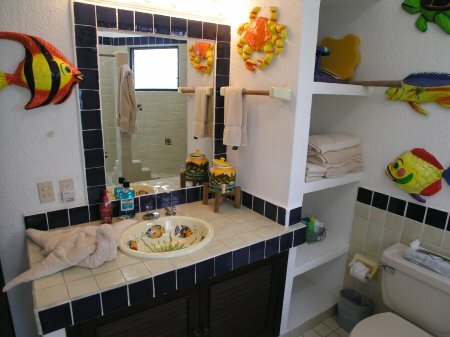 All face the sea and each has its own full bathroom. 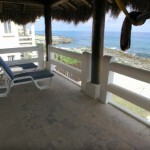 The lower level bedroom has a king bed and glass slider to its own patio, just a few steps from the main ocean side patio. 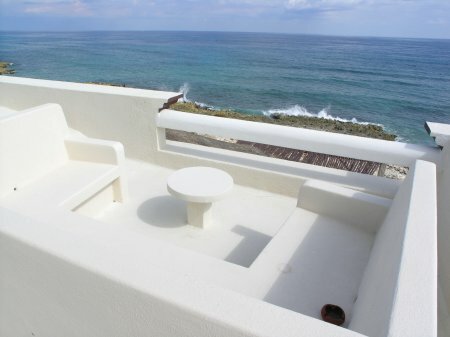 The three remaining upper level bedrooms are connected by a furnished pool view terrace, providing a central lounging area with a cozy built in love seat, great for watching the sunset. 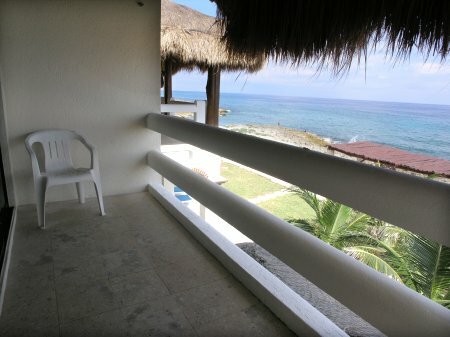 Each of the upper level bedrooms has a private ocean view balcony. 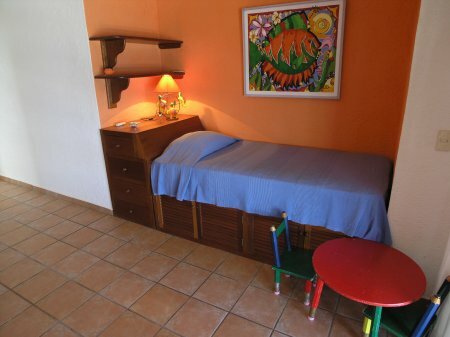 The first one is at the top of the stairway and has two double beds and a single bed. 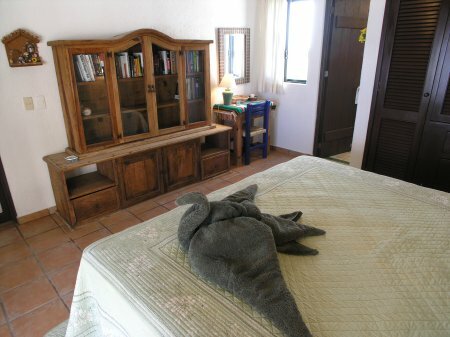 Next, the master bedroom has a king size bed, larger balcony and comfy little couch. 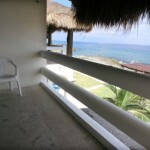 And on the north end the 4th bedroom has a king bed, private bathroom and ocean balcony. 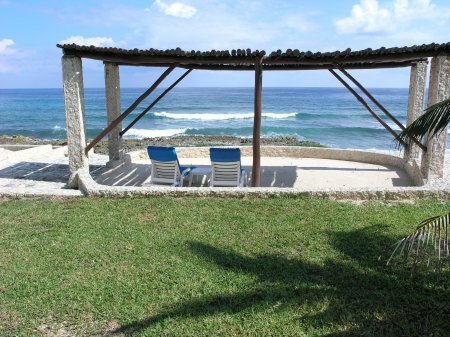 Out on the ocean side is a nice wide patio with table and chairs, a couple of chaise lounges and an oceanfront shade arbor closer to the sea. 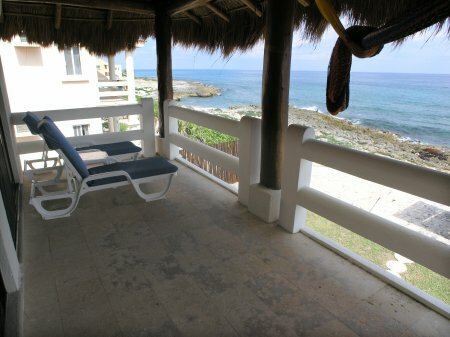 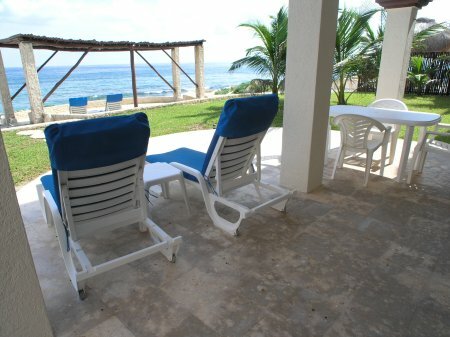 There’s plenty of space to spread out and chill, while your watching the waves roll in. 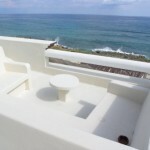 Up on the roof is a casual built-in seating area and table. 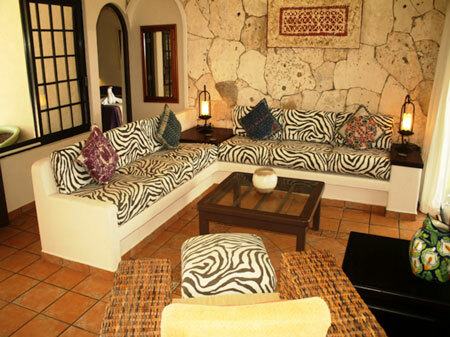 This roof top vantage point delivers a 360º panoramic view of the Caribbean and the jungle. 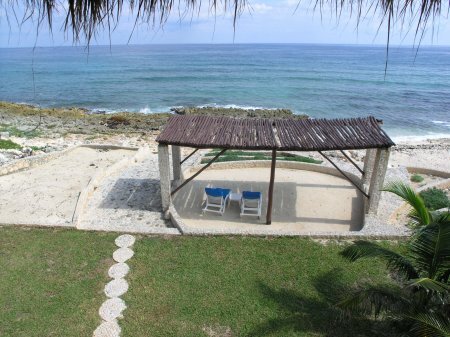 This is an exceptional place for sunrises with coffee, sunsets with your favorite drink, or stargazing with a loved one. 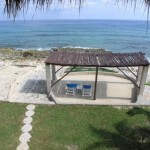 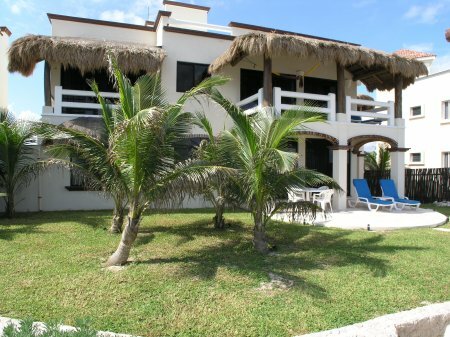 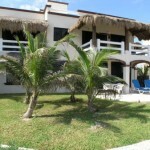 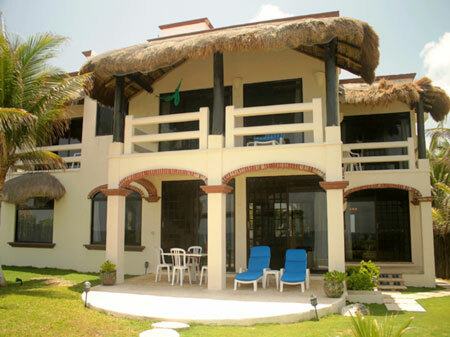 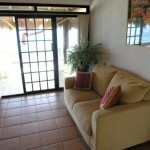 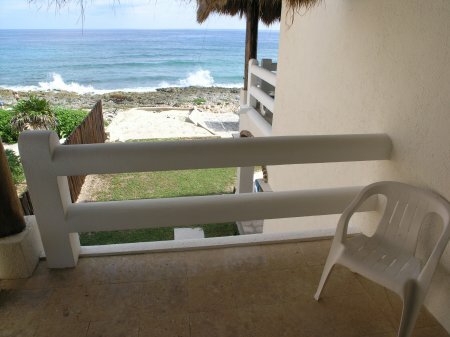 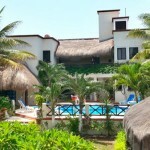 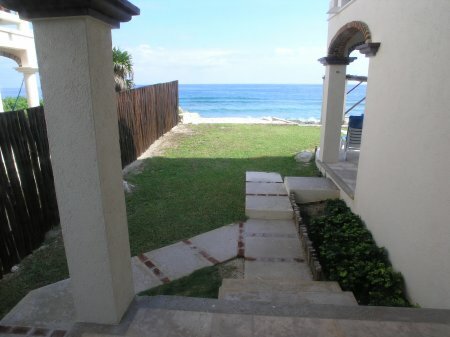 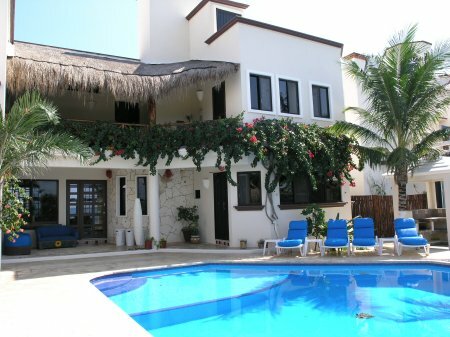 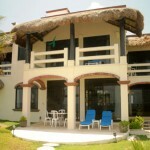 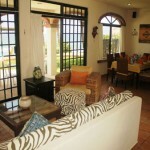 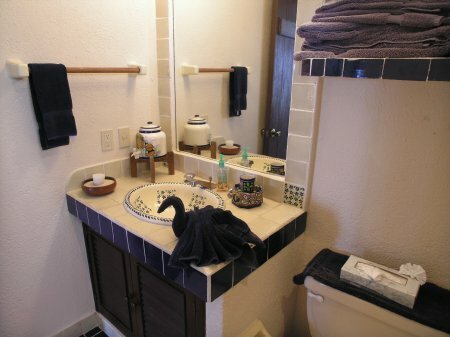 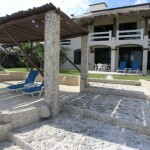 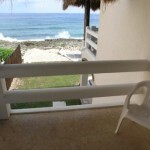 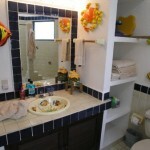 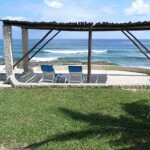 Villa Sea Gate has it all and is a terrific choice for your vacation get away! 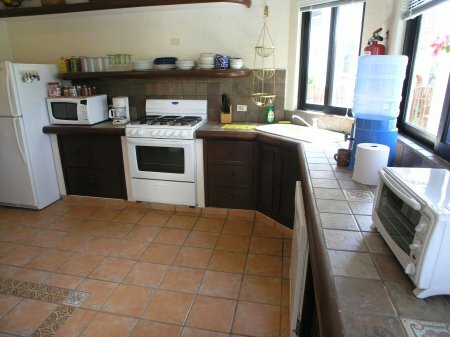 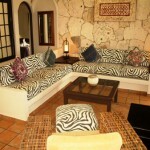 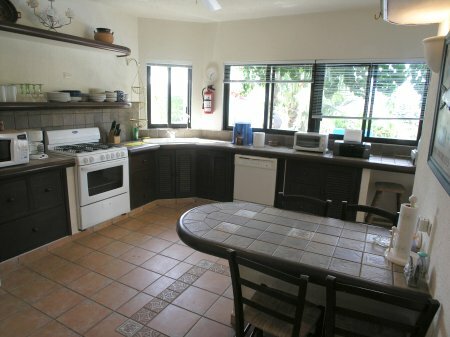 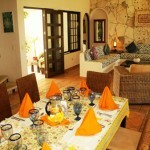 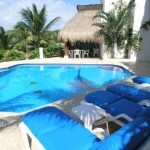 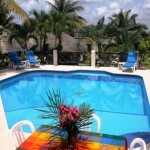 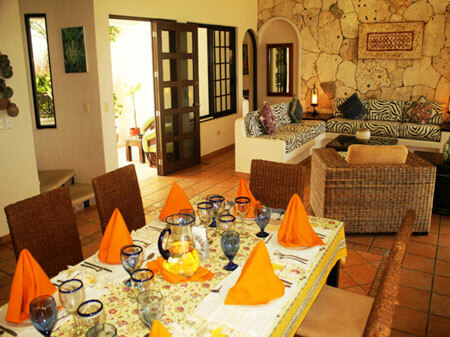 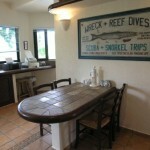 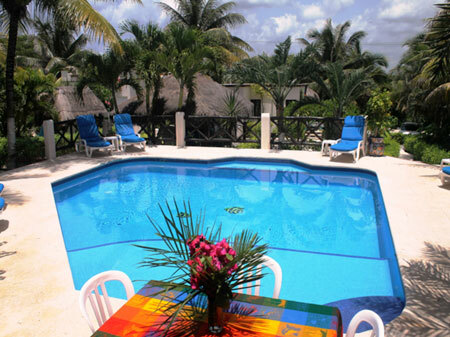 Villa Sea Gate Dining Option: 3 dinners per week prepared by Mayan chef for $150 (groceries not included).